Hypermobility & Ehlers-Danlos - Piedmont Physical Medicine & Rehabilitation, P.A. Hypermobility syndrome (also called Joint Hypermobility Syndrome, or JHS) is one of the most common hereditary disorders of connective tissue. 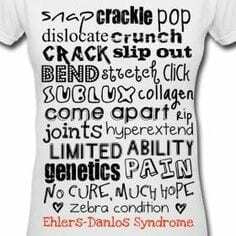 The exact prevalence of JHS is unknown, since it can be indistinguishable from Ehlers-Danlos (EDS), specifically EDS-hypermobility type. However, EDS is typically used to describe more severe cases of JHS. The major clinical features of JHS include joints that move beyond their normal range, or weak ligaments and flexible joints. Patients with JHS often experience fatigue and chronic widespread pain in the knees, fingers, hips, and elbows. Beyond the symptoms of pain and fatigue, patients with JHS tend to be more susceptible to injury, such as rolling an ankle joint or dislocating a knee joint. In order to avoid these injuries, exercise plans may be used to strengthen the muscles and increase stability. For milder cases, nutrition, physical therapy, non-opiate medications, and braces, along with patient education, can all be part of a treatment plan. However, in more severe cases, Piedmont Physical Medicine and Rehabilitation, PA may recommend innovative treatment techniques in regenerative medicine. Prolotherapy involves the use of natural medications injected into injured, or hypermobile, ligaments for the purpose of re-growing and strengthening them, as well as relieving pain. If a stronger approach is needed, the physicians at Piedmont-PMR also offer platelet rich plasma (PRP) injections to stimulate the body’s natural healing process. This treatment involves injecting growth factor rich platelets obtained from the plasma of the patient’s own blood into the injured area. Piedmont-PMR even offers stem cell therapy. The cells can be harvested from your own body, or may be placental derived. After injection to the injury site, the cells stimulate tissue repair and reduce pain in hypermobility patients. The team at Piedmont-PMR gives each patient individualized treatment and strives to use the right intervention at the right time. In treating hypermobility patients, Dr. Schwartz and Dr. Terzella use a unique approach called “Reducing Total Load”. This involves giving each patient the individual attention to find the total number of things that can interfere with their wellness, and offering advice to combat against these things, while providing treatment options to offer relief. If you are experiencing chronic pain in your joints or other associated symptoms, please call our office at 864-235- 1834 to schedule an appointment. Dr. Schwartz and Dr. Terzella are dedicated to providing improved function, less pain, and a better quality of life.